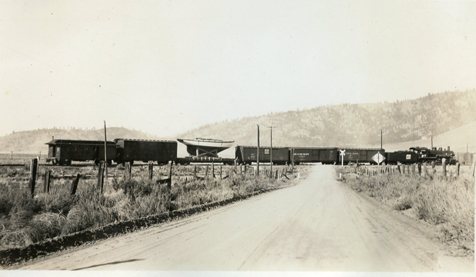 It was to be a 45 foot ketch with a beam just wide enough to go through the snow tunnels on the railroad line with 2 inches to spare. 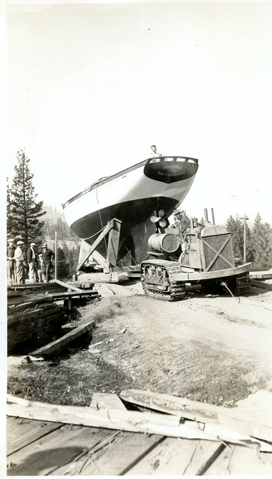 The completed boat (more likely nearly complete) traveled from Calpine on a flat car, snaking its way through the snow tunnels in the Sierras to Stockton, CA where it was to go into the water. An inept crane operator dropped the boat, it sank, a few bubbles appeared, and the boat popped up out of the water. 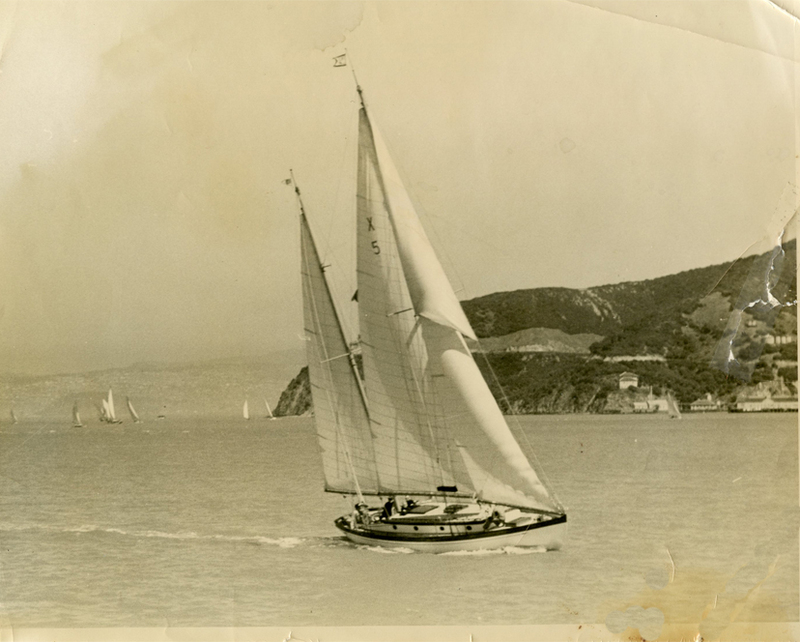 By July 4th, 1936 the ketch, Minerva, representing the Marin Yacht Club, was ready to compete in the 2250 mile yacht race to Hawaii. 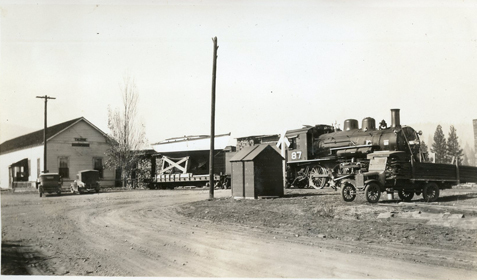 The Minerva was handicapped with a 61 hour, 55 minutes, 17 second handicap. Wouldn’t it be interesting to know how these handicaps were arrived at. Actually these time differentials were called “Allowances”, not handicaps. The race began in Santa Monica and ended in Honolulu. The Minerva didn’t win the race, but finished high enough , perhaps 7th, to get a nice cup which is still in the family. 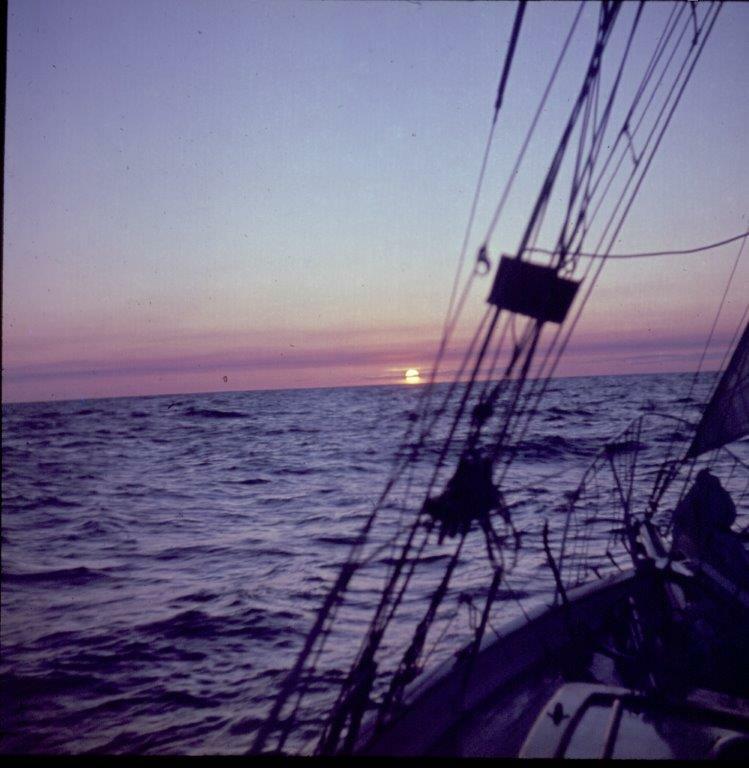 In the mid 60’s two couples, one of which owned the Minerva at that time sailed the boat around the world. 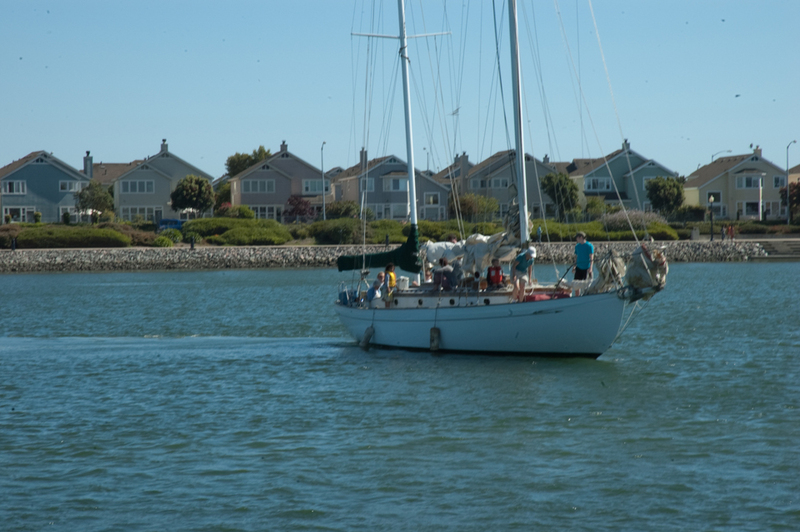 The couple that owned the boat must have been prominent people in Oakland, and the Oakland Tribune carried several big stories about their adventures in finding another couple to sail with them, what they chose to take with them, and the trip itself. The Minerva is still an active sailor in the Sea of Cortez at the time this is written. 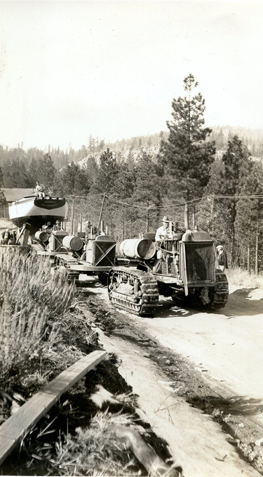 When it was built and when it raced its length was given as 45 feet. Later news articles said it was 50 feet. 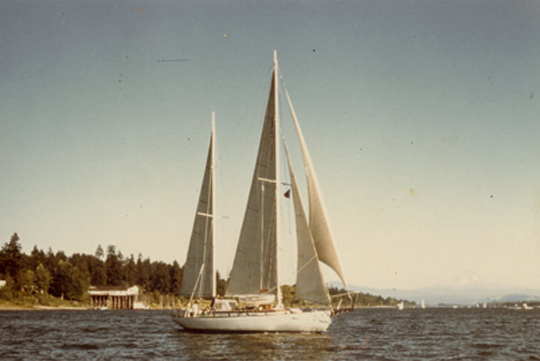 This circa 1974 photo is on the Columbia River with Mt. 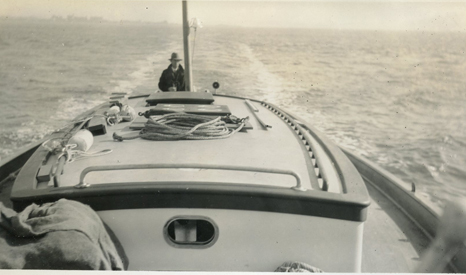 Hood in the background when Wes Strohecker was her owner and Skipper. Tom Neely, present owner of the Minerva, sent this message to Brian Macintosh, grandson of Frank Blagen Sr. These days she is a bit of an older gal and needs a lot more work than what I have done so far. I’ve owned her for 14 years now and have done a lot of structural work but not much cosmetic other than paint once in a while, but am hoping that one day she will shine brightly while sailing the world once again. Currently, I’m down in the Sea of Cortez where Minerva and I have spent the last 3 years. She still sails great and has been a fine boat that has kept me alive several times! 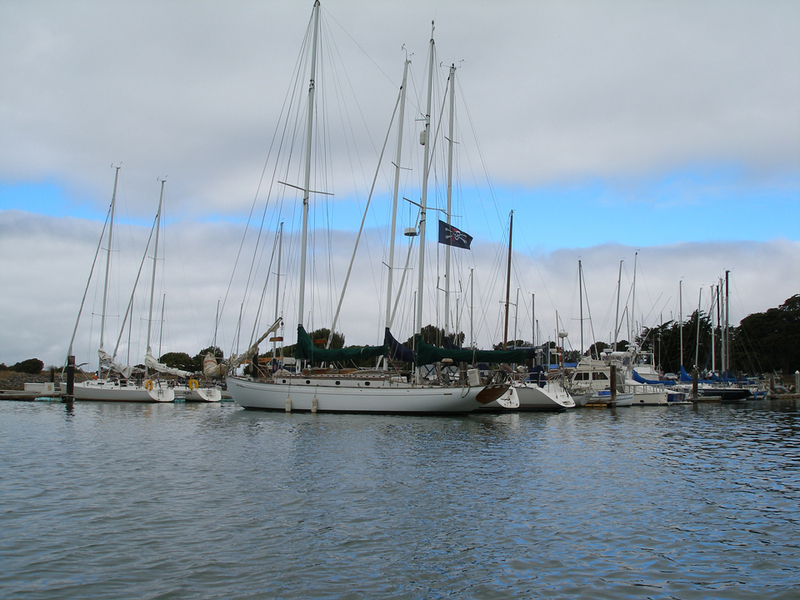 I am looking forward to many more years of pleasurable sailing aboard her. 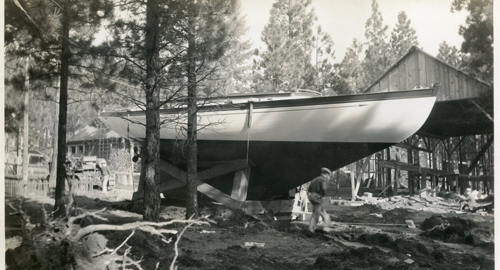 The Minerva, regardless of whether or not it belongs in a history of logging, has generated a lot of interest and if you read the following comments there were a lot of people that loved that boat. 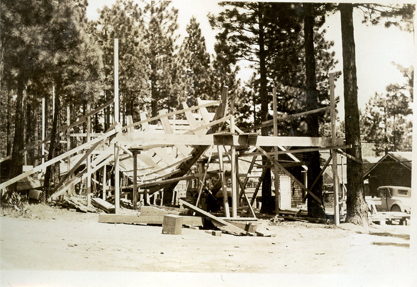 Frank Blagen might have started gathering materials by perhaps 1930, so this boat is approaching 85 years or so since its inception. 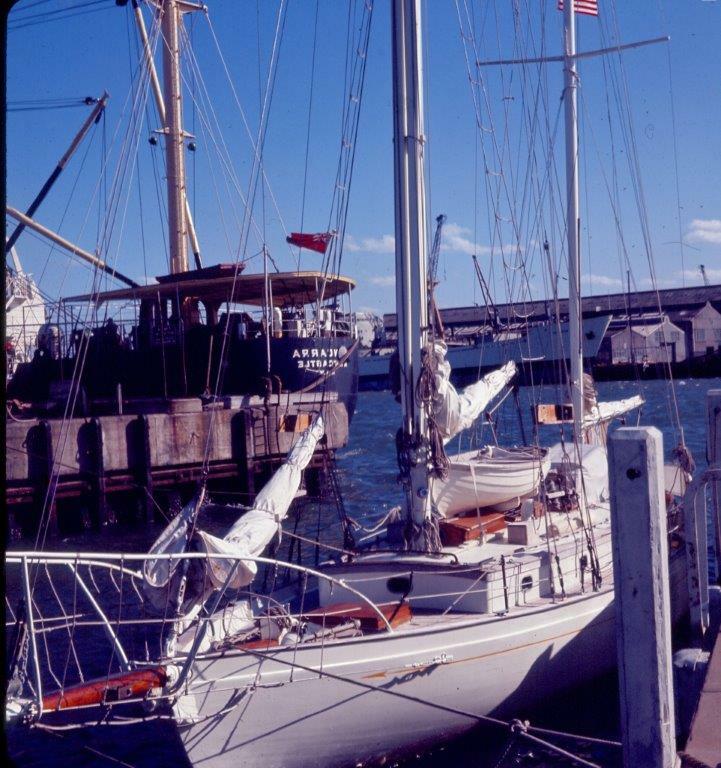 Robert Sintes in New Zealand has sent us these photos of the Minerva taken about 50 years ago. Thanks Rob ! 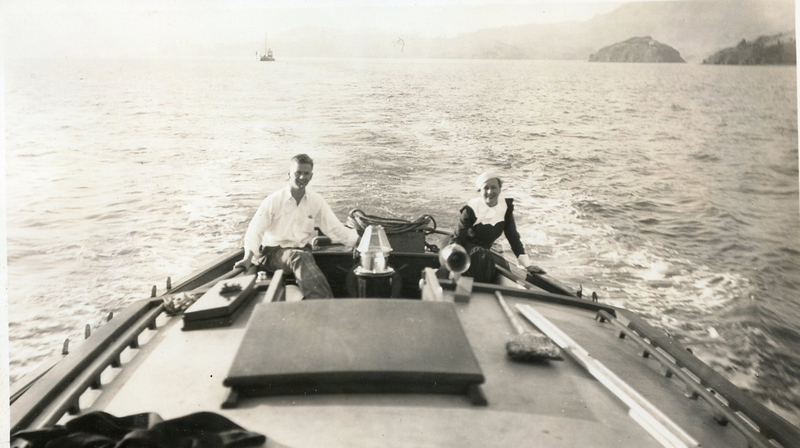 Hugh Corum who owned the boat in Aukland, New Zealand. You can read in the comment section about Robert’s connection to the Corums, and thereby the boat. Sunset from Hugh and Marge’s Minerva It’s photos like this that make this webmaster forget sea sickness, lack of sleep, discomfort, and exposure and wish very temporarily that he had built a yacht and gone to sea. What can I say, I learned to sail on her and found this article sitting at the Muskegon Yacht Club in Michigan. There is so much more to her story. The circa 1974 photo is on the Columbia River with Mt. 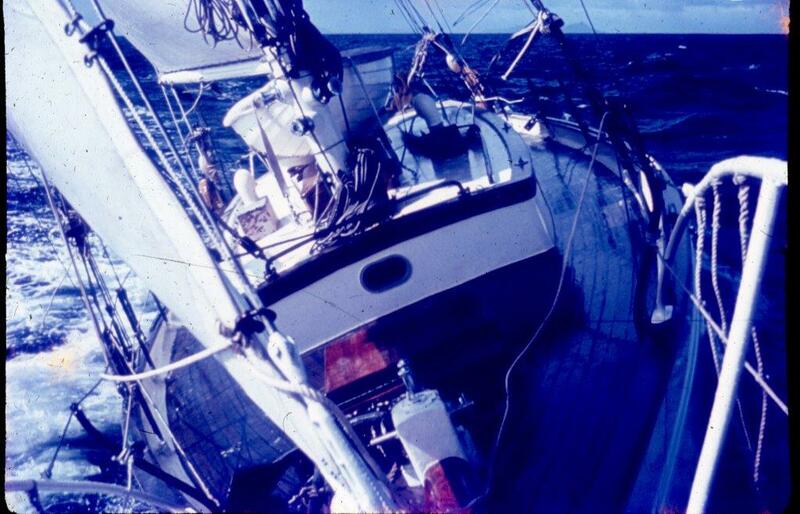 Hood in the background when Wes Strohecker was her owner and Skipper. WOW. Thank your for publishing this article. Seeing her is a gift you can’t even imagine. 6 of us Strohecker/Marks kids were raised on her in the 70s and 80s and 90s in Portland Oregon were she lived on the Columbia river. Our dad Wes Strohecker passed away 2 years ago and luckily a friend of ours had spotted her in mexico and sent us a picture. We were able to show Wes right before he passed. It meant so much to our family. I so wish he could of seen this. Having to sell her and have her leave us was like losing a family member. I still grieve not having her in our life anymore and always will. Saying she is Special is not enough. I hope the current owners love we as much as we did/do. I dream about her often. We would be so grateful if you would please keep in touch and keep her in our lives by letting us know how she is doing and where she is. Please take very good care of her. How nice it is to get more comments and information from those previously connected to the Minerva. I didn’t realize when I started putting this story together what a lovely story it was going to be. 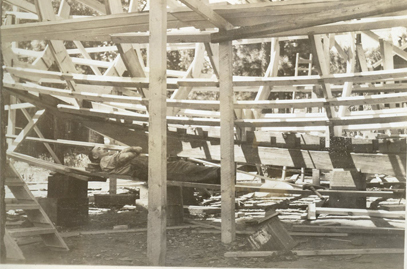 I can hardly imagine that this ketch built in what was really the back, really back, woods in the late 30’s is still going strong and is much loved 75 years later. What a labor of love that was. I was always told The Minerva burnt to the waterline in the Honolulu Harbor while my grandfather Hugh Corum was drinking at the “Admiral’s Club”. It is so awesome to see her history is longer and more colorful than I ever imagined. Thank you! Marge Corum is still with us at nearly 102 years old! My name is Katie Corum-Maher and I am also Margie and Hugh’s granddaughter. I would love to have copies of the photos you talked about in your email on October 12, 2014. I do not have any photos of my grandparents in that time period and would love to have the pleasure of seeing them. Copies or email is great. 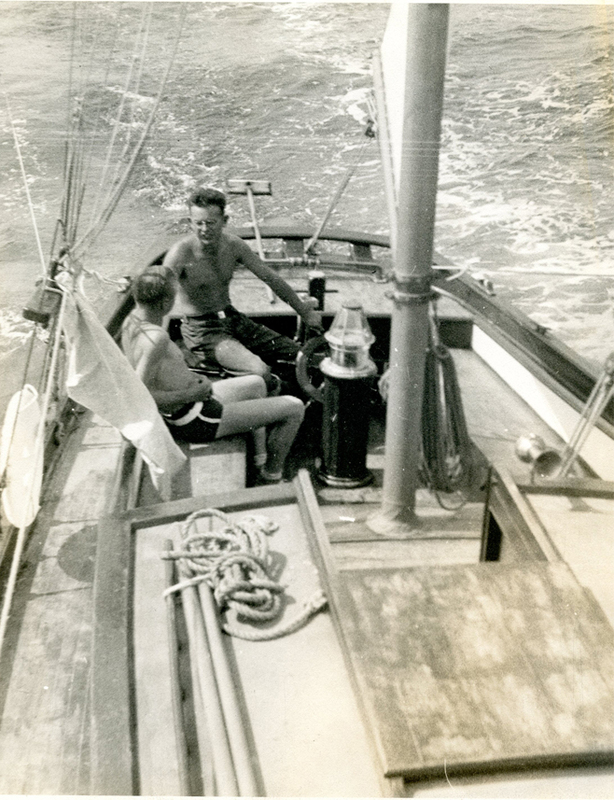 This story warms my heart and I think about the lives of my grandparents on the open seas. I understand that Hugh (he died when I was about 1 year old) was a very vivacious and full of live. I love to hear the stories of them out at sea…that would be incredible too! So, please feel free to email or call me at planetmahers@earthlink.net or (925) 768-3766. 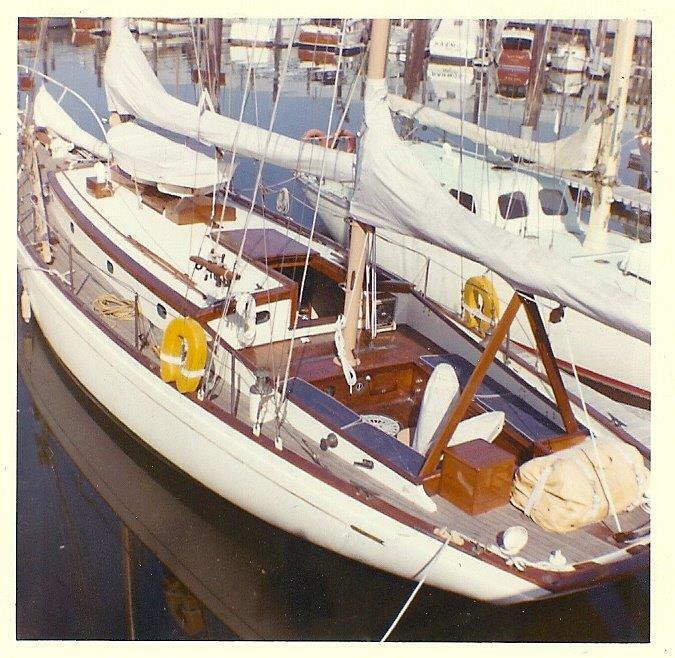 In the summer of 1966, Wes Strohecker and I, Jean (former wife) found Minerva at Alameda Marina through a phone call from a friend who knew we were looking for a classic wood sailing vessel. 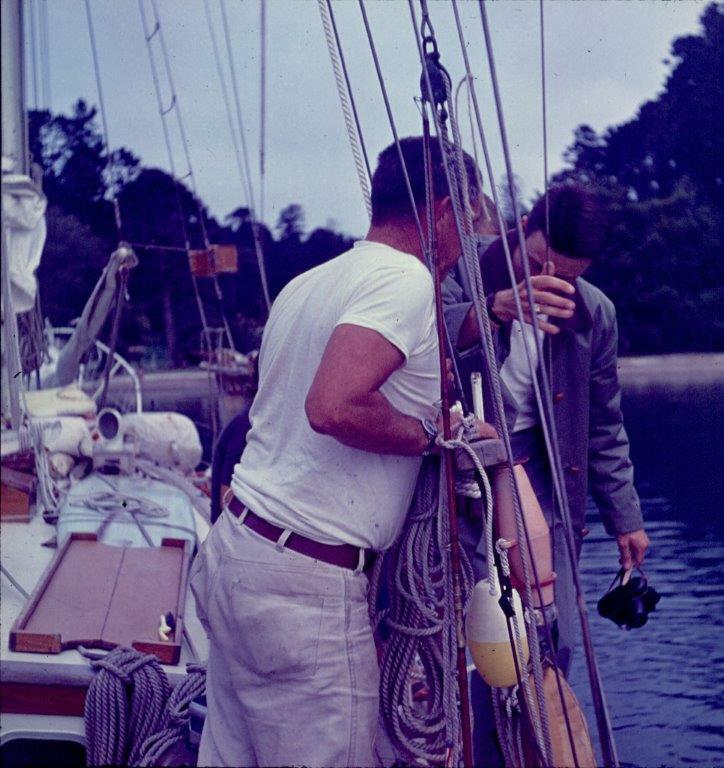 We flew down along with my father, Russell Sells, a marine surveyor and yacht repair business owner. Minerva had sailed the South Pacific with Hugh and Marge Corum (Corum Jewelers in Oakland) at which time Mr Corum passed away. 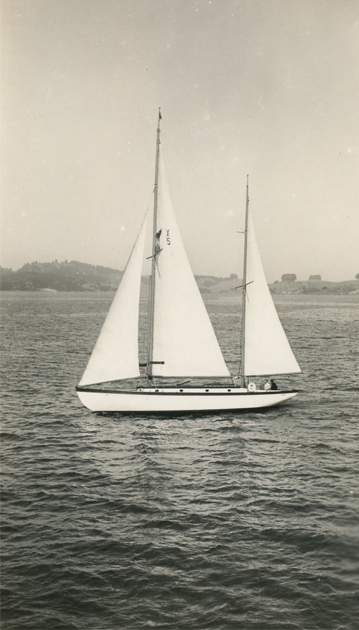 She was then delivered to Hawaii and skippered to Alameda earning the name “leaky teaky”for taking on water mysteriously. Russ Sells took long look and said she was sound so we purchased Minerva October of 1966 from Mrs Corum and sailed her north. (A story in itself!) The leak was found, taped with electricians tape and never leaked again. 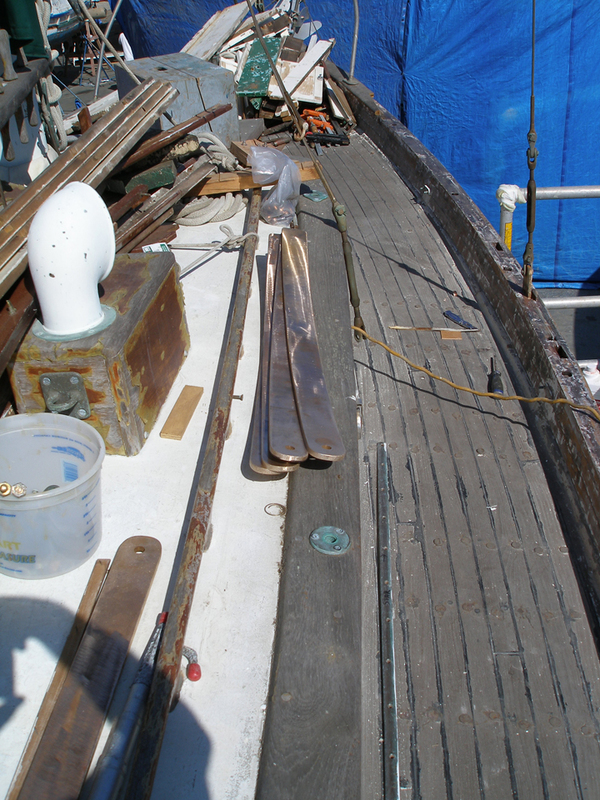 The next 6 years were spent splicing masts, replacing running rigging, new cabintop, refinishing interior, re-caulking the decks, etc. Minerva was repowered in Tahiti with a Peugeot diesel (which they traded the generator for) and that #^&* engine was a constant challenge. 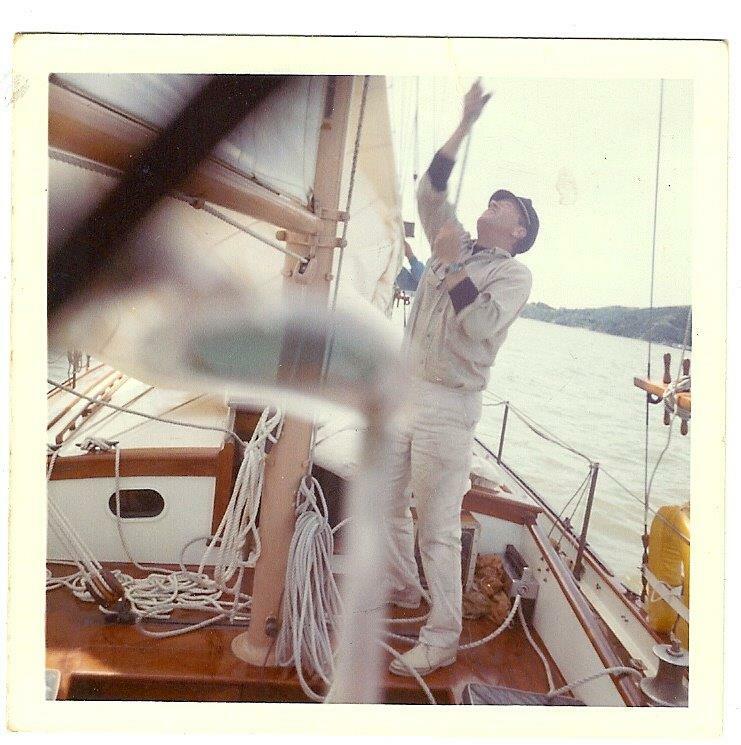 First voyage was to the San Juans in 1972, sailed to San Francisco for the Master Mariners Regatta in 1974, placing 4th in a fleet of 18 beautiful classics. Sadly parted ways with Minerva in 1975 when I moved to Alameda,CA. Many good memories – she is a great vessel. I would like to get in touch with Tom Neely if anybody has his contact details..or Tom, if you are reading this, I would welcome an e-mail to info@familysearch.co.nz to share Minerva History.. Regards Rob Sintes New Zealand. See my entry above. Paul, if you happen to have the ships log still, I’d love to read it before you give it away. It was my grandparents voyage that I’d enjoy learning. Robert, I would love to have the log for Minerva. If you haven’t already shared it with Katie, please do before it gets to me. 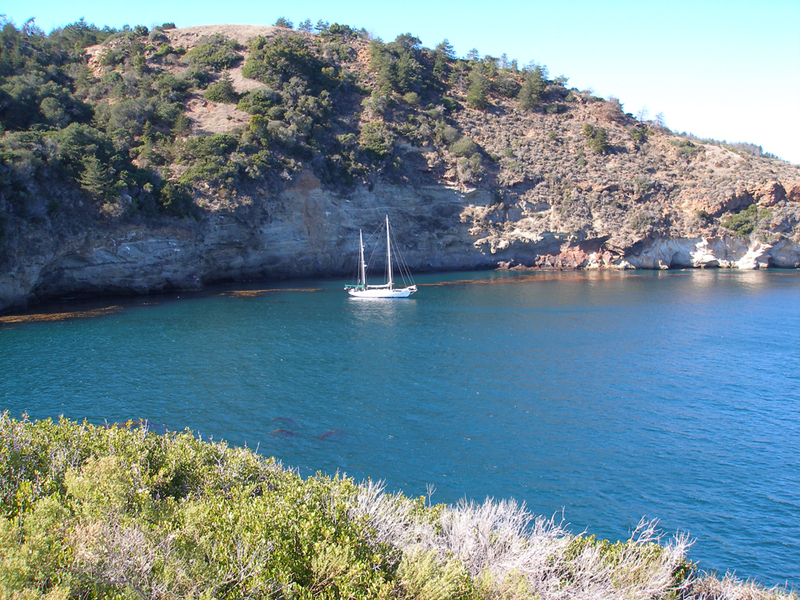 After leaving San Francisco in 2010, Minerva and I sailed the southern California waters for a year visiting many of the ports there and many of the Channel Islands making friends and garnering admiration wherever we went. 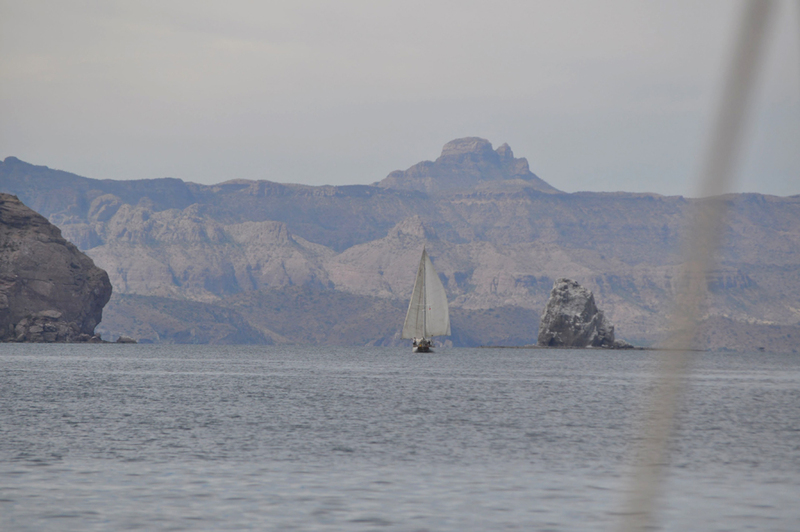 We then sailed toward Mexico and the Sea of Cortez. She is a fabulous sailor and took very good care of me during some pretty intense weather. Once there, we sailed out of La Paz, Baja California to the islands and small fishing villages which populate the entire area. Later, we spent months sailing up the sea to Guaymas where I worked on her in the water at anchor while enjoying that busy town. 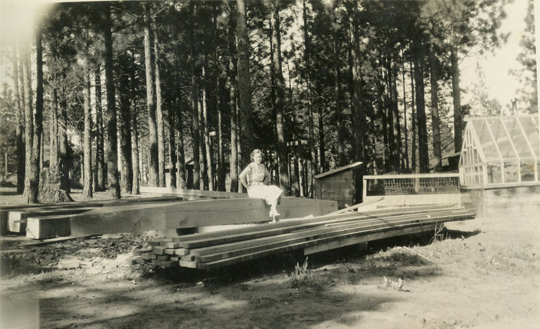 During the trip she began taking on water faster than before from the planking seams. So out of the water she came. Minerva is presently on the hard in Guaymas, Sonora, Mexico. 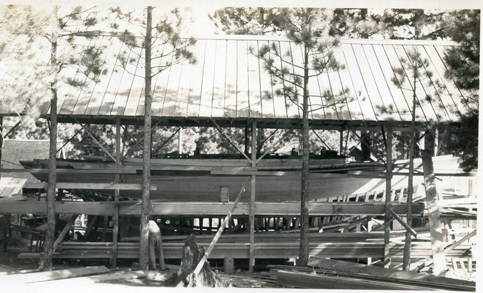 The topsides of the hull has been recaulked but the bottom is still awaiting attention. Sadly enough, I have run out of money and stamina to complete not only the hull, but the mizzen mast is cracked and needs new chainplates as well. The planking is stable for being out in the Mexican heat, must be the humidity. I still live aboard except for the summer months as it’s too hot for me to stay. I would like to find someone eager to take on the job of completing the work to sell her to. If anyone knows of someone who fits the bill, please let me know or have them contact me. I only want her to continue voyaging as she always seems eager to catch a breeze. 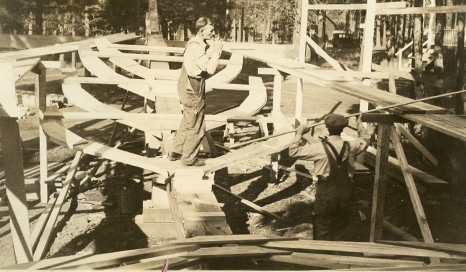 In regards to the article above, I believe that at least the planning or perhaps design (by George H. Wayland, naval architect) was begun in 1926. The only reason I believe this is the 1926 penny I found attached to the bottom of the mainmast. 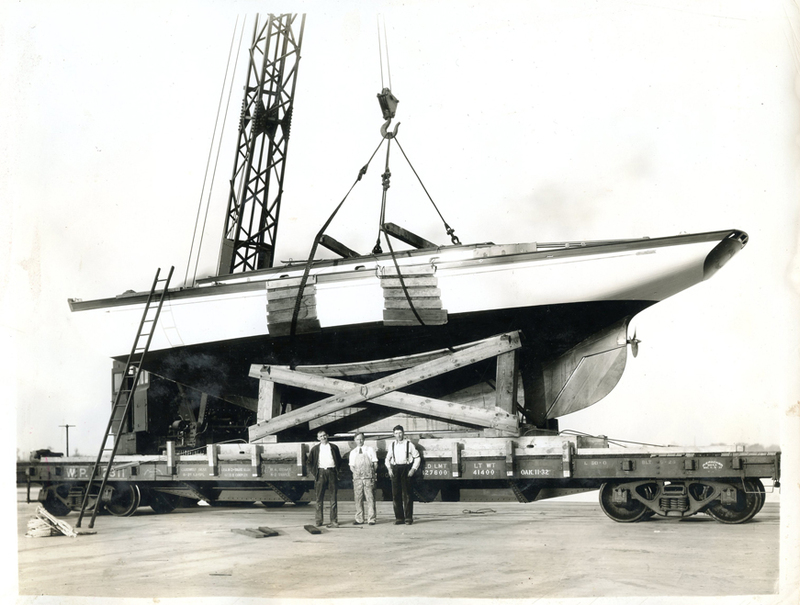 The mizzen mast sits on top of a 1932 silver dollar from the year of her launch.